You just had a crash. You are nervous and don’t know what to do. Our Miami car accident lawyers came up with some things to do to keep you safe physically and legally. Stop your car and don’t block traffic. Get to a safe place. Do not stay in the middle of the road in order to preserve evidence of a crash. Again, if you are blocking traffic, you have to move your car immediately. Call the police. Report the crash and get help from first responders like police and fire rescue. If someone is hurt, get them medical help right away. Do so for yourself too. If you cannot get help, take the injured person to get help. If help is coming, you have to stay until it gets there. Listen to the 911 dispatcher. If they say not to move someone or give them water, do not do it. They tell you things for reasons. You don’t want to find out why they told you not to do something because you did it. Give your name, address, car information, and insurance to anyone in the accident who asks for it. When the first responders get there be polite and respectful. If there was an injury or damage over $500, the police will do a report which is helpful. Investigate and take pictures and get names and numbers if you can. The best place to get photos is usually the scene of the crash. See if you or someone with you can get pictures of the resting points of the cars, the damage to the other cars. Sometimes in a rear end crash your car will not have a lot of damage but the other car will have a lot. Get pictures of that. Also, sometimes the police will not put everyone on the accident report. So a witness who would be helpful to you will not be there to help if you do not get his or her name at the scene. If they offer it, don’t lose it. At Wolfson Law Firm, LLP we see witnesses all the time who were not listed on the crash reports. Miami-Dade roads are busy but try to get the information we need. It can only help your car accident lawyer do his job. Don’t say sorry. Lots of times, folks say “I’m sorry” even though they don’t even mean to say they caused the situation. The words come out to be nice. But don’t do it. Because the other person will remember. And, under the Florida Rules of Evidence 90.803(18), a comment like that is admissible in court as an exception to the hearsay rule. So be nice and ask them if they are ok. But do not apologize. Statements to the police officer are inadmissible in a personal injury trial. Talk to them if you were in the right and are not worried about any actions of your own. The statements cannot come in to trial in a personal injury case. This is commonly known as the “accident report privilege” described in Florida Statute 316.066(4). You can take a look at the entire law at http://www.flsenate.gov/Laws/Statutes/2012/316.066. Don’t leave scene. In Florida, you could be arrested for leaving the scene of a crash with injuries or damage. Also, if you leave without police getting there, it sends a message that the whole thing was just not that serious. So if you realize later you have aches, it will be hard to show that it was a serious enough crash to warrant the insurance company paying money for injuries. Call your car insurance company. Under your car accident insurance policy, you have to report this crash. It is part of the policy that you cooperate and tell them about it. You have benefits under your own policy called personal injury protection (PIP) benefits that will pay for your health care from the crash. You need to report the crash to the company to get the benefits. If you don’t they won’t pay. Don’t worry if the other driver doesn’t have insurance. Lots of people driving around Miami do not have insurance. But don’t worry. Your lawyer may be able to find insurance. Or, you may have uninsured motorist coverage which a lawyer can help you with. Either way, don’t do nothing about your crash just because you hear the driver has no insurance. There may be a solution. Get medical care. Many times, you don’t feel something right away. Many folks are standing at the scene of the crash and tell the police officer they feel great. Then, by the time you get home, your head, back, shoulder, knee, or whatever body part hurts even though you felt great right after the crash. So, let Fire Rescue personnel check you out. Go to the hospital. See a Miami car accident medical doctor. But do not let yourself go unchecked because you never know what could have happened. The adrenaline from the crash sometimes covers up injuries for a little while. So get checked out. People who are hurt go to doctors. And defense lawyers and insurance adjustors argue that if you didn’t get treatment that you were not really hurt. Especially if you did not go to the hospital or a doctor within the first 24 hours. Choose the right doctors. It is important to do good research on your medical doctors. Just like what you are doing right now, reading up on your Miami car accident lawyer, you should investigate the background of your medical doctor. Their credentials are important in your treatment. It is important to get the right care for the right condition. And, in settlement negotiations or at trial, your doctor’s credentials will be placed at issue by the defendant. You want a doctor who comes off as believable. Sometimes, your own doctors may refuse to treat you because you were in an accident and they do not want to be bothered with what comes with treating an accident victim. Your lawyer may be able to help you find a doctor who can treat you. Get your car out of the tow yard. If your car was towed, get it out of the yard. Use your own insurance, the insurance from the person who hit you, or pay for it. But do not leave it at the yard because they will charge you storage daily and most times will not cut the bill when you get over there to get the car. And, if you leave your car there long enough, they can take it by following the process in Florida Statute Section 713.78. Get an estimate for your car. If you do not have insurance to fix your car but the other person was at fault, you have to rely on the other person’s insurance, if they have any. It is important to remember if you are relying on the other person’s insurance, they only have to pay if you can show the other person was at fault. And, if the other person says the crash was not their fault, then the insurance can delay and say they are taking their insured’s side. If you do not have insurance and the other person is saying they are not at fault, then you will almost certainly have to sue the other person to get your car fixed and for your injuries. This may be frustrating because the crash seemed simple. But under these circumstances, your car will not get fixed and you will not get paid until the case is done in court. Keep track of your “out of pocket” expenses. They include co-pays, wrecker bills, medicines, bills for devices like a boot or brace, rental cars, pillows for your neck, a new chair at work, crutches, the housekeeper’s extra day because you can’t clean, a gardener if you can’t do it anymore, or even a nanny if you need help with the kids. When your car accident lawyer does a demand to the insurance company, he or she will need these. Or, if your case goes to court, your accident attorney will need these expenses to produce to the other side to get you money for them. You want recovery, right? So keep track of what you spend. Miami is expensive. If you keep track of what you spend, your lawyer can help you get it back. At Wolfson Law Firm, LLP, our Miami personal injury attorneys help our clients track and categorize their out of pocket expenses. Make a PIP claim for your lost earnings if you missed work. Your PIP (Personal Injury Protection) policy will pay 60% of your lost earnings up to $10,000 or the remaining limits after medical bills have been paid out. Use this if you did not waive it when you got your insurance. Your insurance company will have forms to fill out to get the benefits. Don’t worry if you got the ticket. First, the fact you got a ticket and what the judge did with the ticket is inadmissible in a personal injury case. That means that if you got a ticket, the insurance company’s defense lawyer is not allowed to talk about the ticket at trial. Second, if we take your case because together we feel the crash was not your fault, we will handle the ticket for free. Do not plead guilty if you got the ticket. If you do plead guilty, you can throw number 18 out the window. Your plea of guilty to the ticket will be admissible and they can use it against you in any personal injury trial. This all assumes that the crash was not really your fault and you want to hire a car accident attorney to try to get you compensation. Get regular treatment. Make sure that you are taking care of yourself. And consistently. If you do not go steadily, the defense lawyers and insurance companies will say you must not have been that hurt since you didn’t feel the need to go often. And, if you do not do the therapy your doctor prescribes, they will say you did not do everything you could to get better. Miami is a busy place, but you have to find the time for treatment. Don’t jump at quick offers from the insurance company. The insurance companies like to get in there early and settle cases before you get a car accident lawyer. They know that you may not know the different things that you can recover for. And they will say what they need to say to get you to do what they want you to. They may even act like your friend and be nice. But they are not your friend. Call a car accident lawyer. Handling your own case is almost always a bad idea. A lawyer can help you get your medical bills and car taken care of. And a lawyer can try to get you money pre-suit following a demand to the insurance company. Or, if the case cannot be settled, it will be filed in court. It still may be settled before a trial. But, if they will not pay what you want, your lawyer will try your case in front of a jury to a verdict like on television. Our Miami Car Accident Lawyers try cases at Wolfson Law Firm, LLP. We hope that the above is helpful. But if you are reading it, that means you were probably just in an accident. If so, call us at (305) 285-1115 and we will talk with you about your car accident. 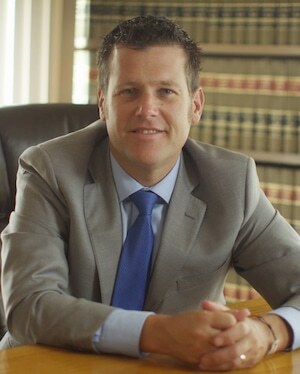 Jonah Wolfson is a bilingual personal injury attorney. There is no commitment by calling us. And you won’t owe us anything if we do not recover money. We will answer all of your questions and give you advice even if you do not hire us. Many of the calls we receive are simple questions that folks have. We always gladly answer and lead you in the right direction without any charge. Call us so we can help you! The Miami personal injury attorneys at the Wolfson Law Firm have helped clients in all parts of personal injury and wrongful death cases since 1963. They proudly served the communities of Miami, Fort Lauderdale, West Palm Beach, Homestead, Pembroke Pines, Coral Springs, Hialeah, Lake Worth, Key Biscayne and all of the outstanding communities of South Florida.